HBO Hopeful for More "Curb Your Enthusiasm," "True Blood"
Two of your favorite Sunday night HBO shows could be around for a little while longer. At least that&apos;s what HBO executives are hoping. During the TCA press tour in Los Angeles on Thursday, it was revealed that True Blood executive producer Alan Ball has a new deal that will keep him on as executive producer of True Blood through the end of season five. If he decides to end the show there, Ball will still work for the network in some creative capacity. 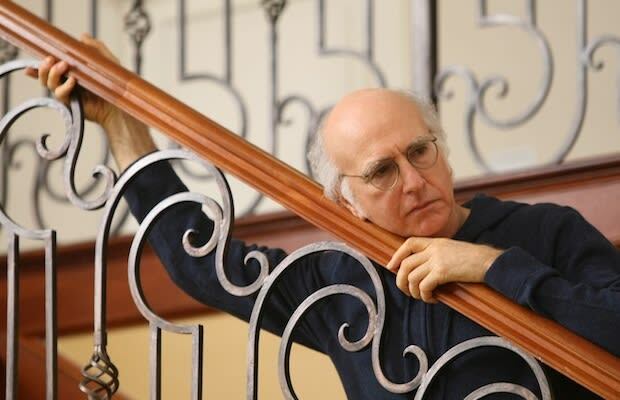 Meanwhile, Curb Your Enthusiasm is enjoying its biggest ratings ever, and HBO executives are "cautiously optimistic" that they&apos;ll produce a ninth season with Larry David. "For the first time ever after this season, Larry didn&apos;t say &apos;I never want to do this again,&apos;" HBO president of programming Michael Lombardo told Deadline. Pretty good. Pretty, pretty, pretty good.